Rome-based master upholsterers Tapazeria Rocchetti have been turning out fine, custom-made Italian textiles and furniture for more than 60 years. Founded and created by Oberdan Rocchetti, his craftsmanship and sheer skill was handed over to his son, Rodolfo – and clearly, he gave him his blessing to get creative. 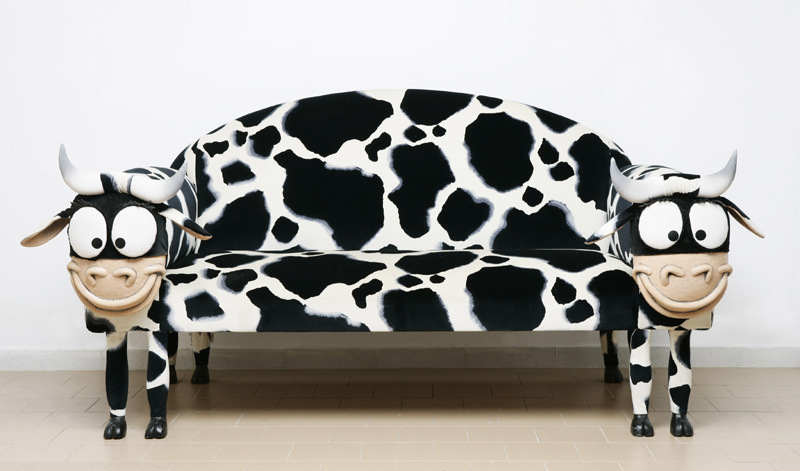 There’s animal print furniture – and then there’s, well, animal furniture. The Rocchetti’s have taken a typical craftsman’s workshop and used the handmade labour of master upholsterers to evolve something unique. This is furniture as statement: A bit startling, a bit bling. Is it cute? Is it even comfortable? 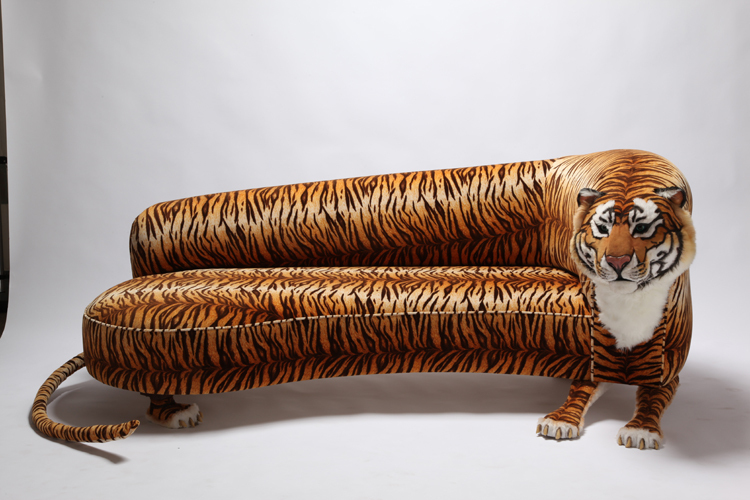 Well if you want to sit with a tiger, the Rocchetti couch is the answer to your prayers. Once upon a time it was quite the thing to kill a tiger and turn it into a rug, complete with stuffed head. Now you can sit on it instead. But what we want to know is – are they made out of actual animals? 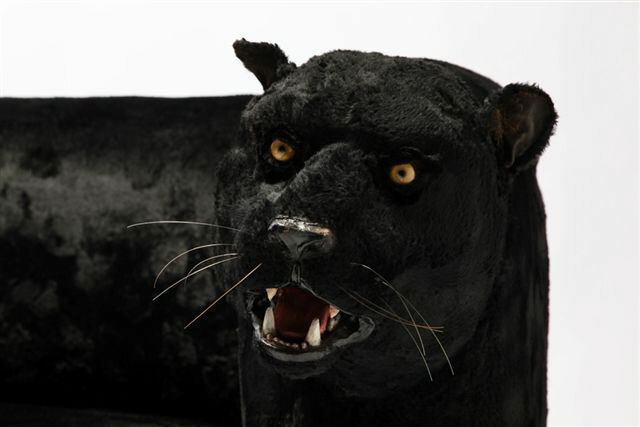 Is this textile manufacture and upholstery par excellence – or a type of advanced taxidermy? 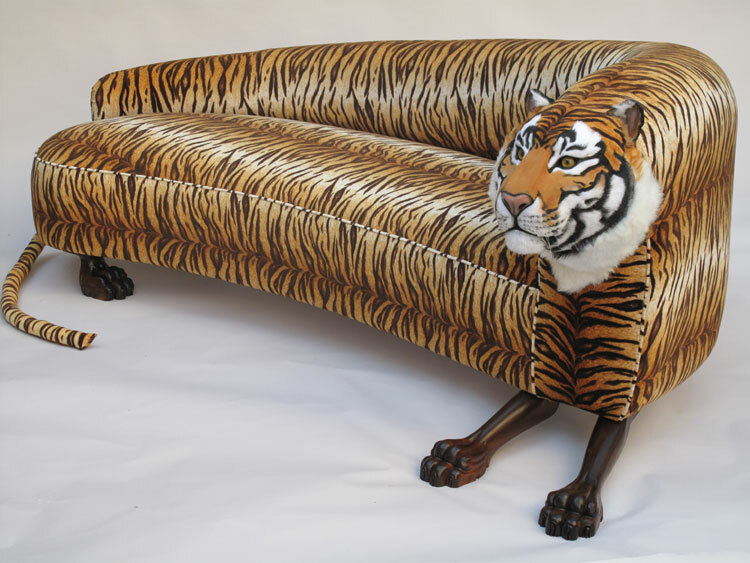 Well if you prefer not to buy into a design that involves big-game hunting and decimation of endangered species, it’s all fine because these sofas are made out of imitation fur. The heads are just very realistic – though OK, the cartoon-like twin cows clearly never grazed in any fields. 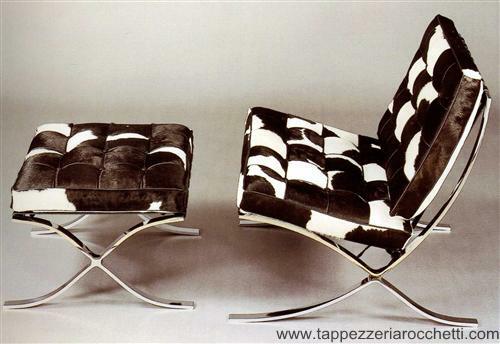 If you would be happier sitting on stylish, though more conventional animal-print furniture, the Rocchetti faux pony chair and footstool (pictured above) should fit the bill. 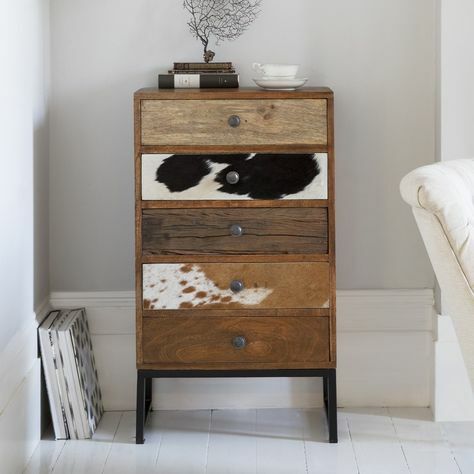 With a far more relaxed vibe, the Montana range of vintage-style furniture from Atkin and Thyme features cowhide accent drawers. 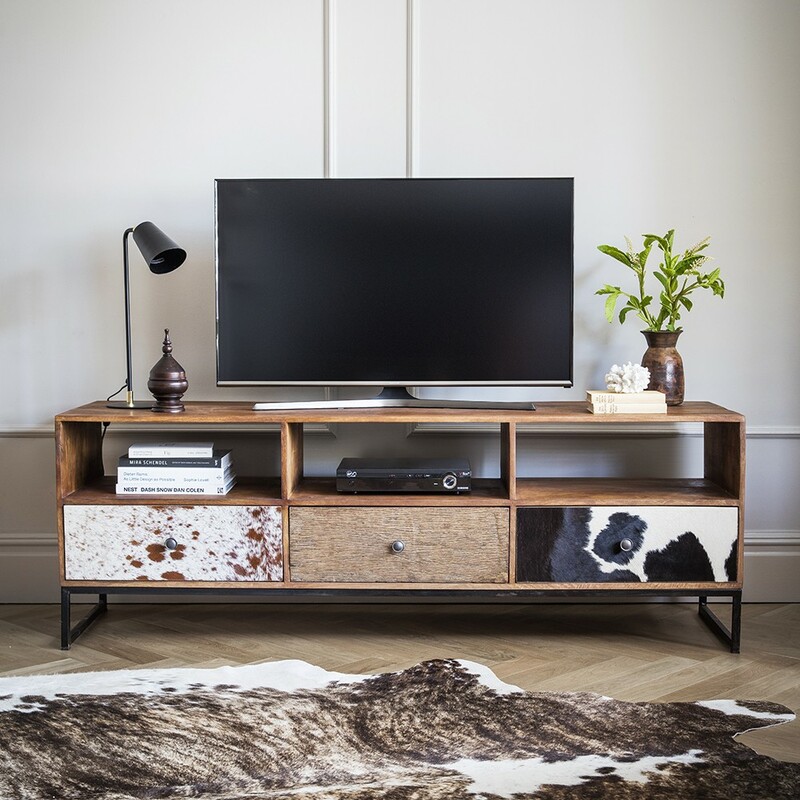 Made from sustainable mango hardwood and teak, and balanced on ‘industrial’ legs, they definitely take the ‘tacky’ out of animal print furniture. 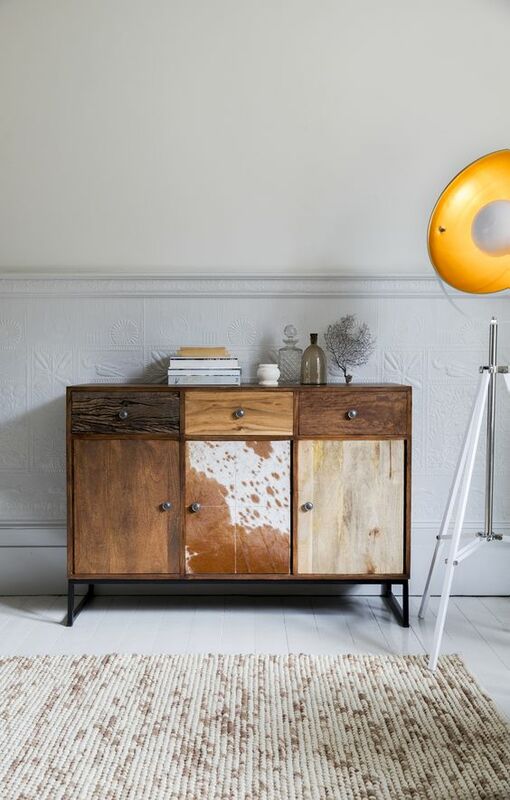 Atkin and Thyme’s Montana range has elegance and style, with a nod to the mid-20th century. 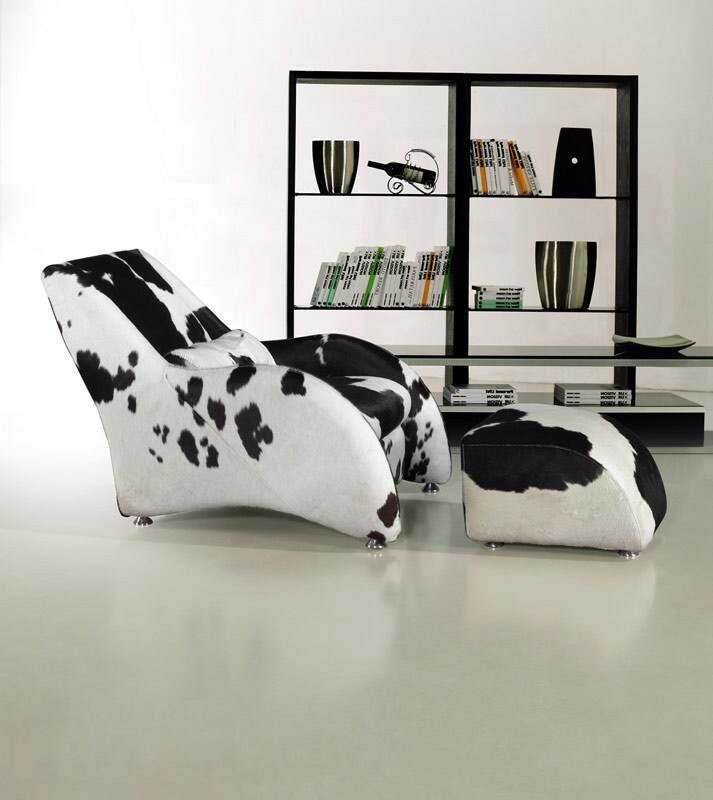 This 920 California cowhide chair and ottoman looks cosy, svelte and organic. You can own it for around $4k – though here’s a warning – if you’re not keen on dead animal, this is the real thing. The iconic ‘Vampire’ armchair (pictured above) by French modernist designer Pierre Guariche has been reissued by Maisons du Monde. 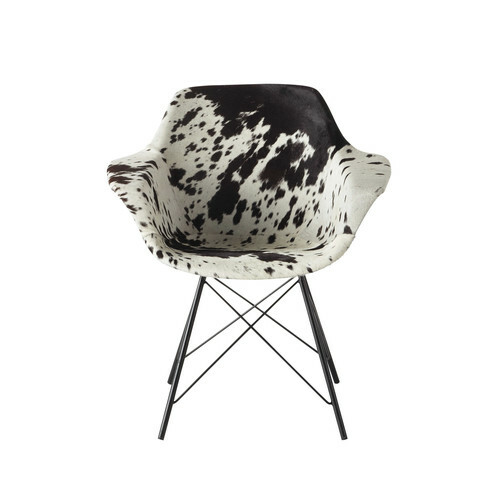 Originally designed in 1954, it has been upholstered in monochrome cowhide ‘in a bold, new edition’. 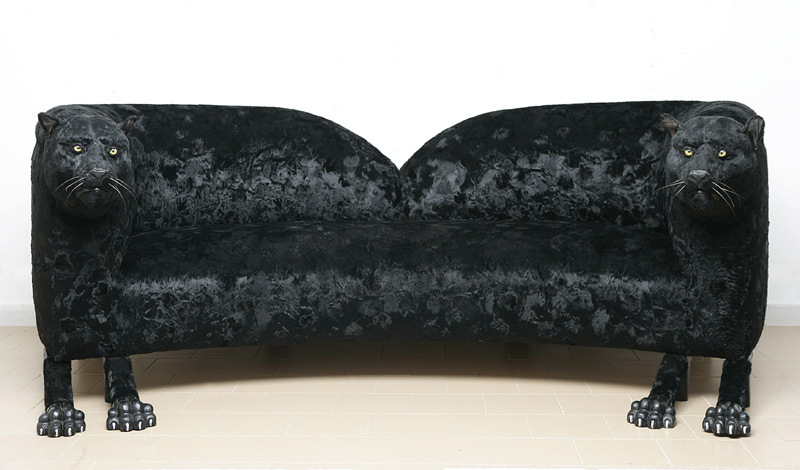 There’s something just a tad decadent about animal print, even animal shaped furniture. 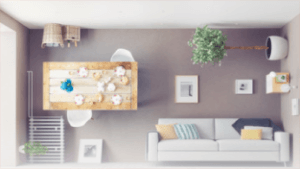 It’s suggestive of bachelor pads, sensuality and hedonistic lifestyles. Still, if it turns you on, there’s enough out there to tempt any animal print lover.